The American Cancer Society executed a Valentine's Day campaign to raise awareness of the importance of mammograms among the Hispanic community in the New York area. The American Cancer Society (ACS) executed a Valentine's Day campaign called Amate a Ti Misma/Love Yourself to raise awareness of the importance of mammograms among the Hispanic community in the New York tri-state area (New York, New Jersey, and Connecticut). The campaign was executed in partnership with Univision and New York-Presbyterian/Columbia University Medical Center, which provided free mammograms for uninsured women over the age of 40. 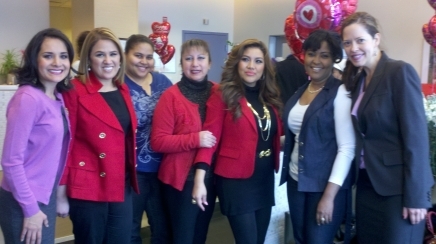 Univision and the hospital donated time and services. Messaging was driven through PSAs, media outreach, and social media engagement. The ACS toll-free call center routed qualifying women to the hospital to schedule appointments. Women calling from outside the area were referred to other locations that could help them. Univision produced two PSAs with its female on-air talent. The first spot was a call to action that aired during the two weeks before Valentine's Day. The second spot, which aired throughout February, educated women on the importance of mammograms and how to find resources. Univision also aired segments with ACS staff and breast-cancer survivors on its morning and evening newscasts throughout February. The SVP for cancer control at ACS appeared on Univision's sister station Telefutura's community affairs program “41 en Tu Comunidad” to discuss the importance of mammograms and screening guidelines. General mainstream consumer media and Hispanic consumer media outlets in the tri-state area were pitched. The PSAs and educational information were posted to the ACS eastern division's Facebook page. The campaign was also promoted on all three organization's websites. Carton says calls from Hispanics asking about breast-cancer screenings and other screenings were up 40% in February compared to an average month. More than 4,600 campaign-related calls were registered, up from 3,337 during a similar campaign last year. Given the overwhelming response, the hospital agreed to schedule appointments into May. PSAs reached 4.6 million Hispanics in February. The ACS eastern division is promoting mammography events throughout May and preparing for the national ACS Relay for Life campaign this summer.